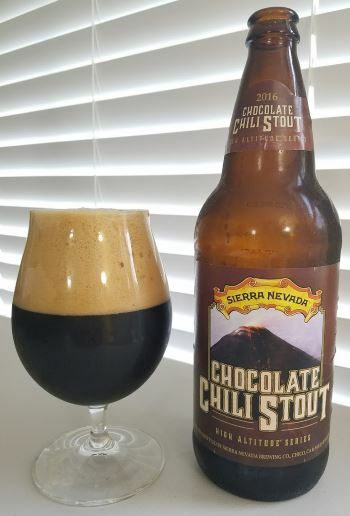 From Sierra Nevada’s High Altitude series, Chocolate Chili Stout is exactly what it sounds like. The nose is roasty with cocoa and a hint of coffee. The middle is rich and exceptionally dry, with cocoa powder, light molasses, and starchy tannin. The finish is malty and woody, and a bit of heat from the chilies. The body is medium, and the alcoholic is an Imperial-ish 8.2% ABV. 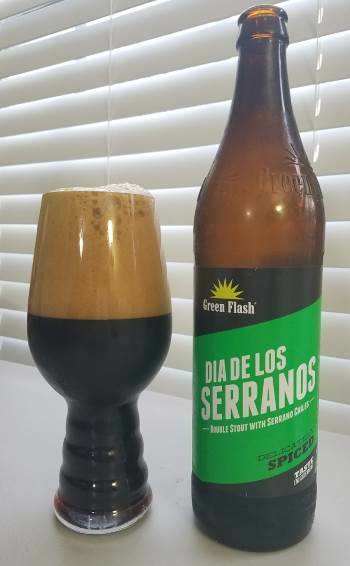 I have to admit that I’m slightly disappointed that there isn’t more heat from the chilies, but it is there, and it lingers and grows after the finish, and that aside, this is a really excellent beer, and everything that is here is fantastic. Top notch brew. This entry was posted in Reviews and tagged Ale, California, Imperial Stout, Sierra Nevada, Stout on September 30, 2016 by Xander. I suppose the name tells you all you need to know about the style. The interpretation is Stone standard, hop heavy and west coast. The nose is chocolaty and warm. The middle starts out the same, with some lovely milkiness and currant notes, then transitions to heavy bitter pine and coffee. The finish is roasted grain and fading coffee and anise. 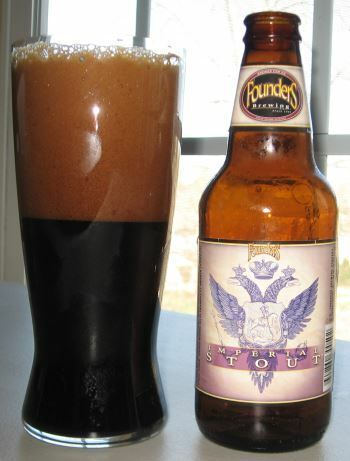 The body is quite heavy as you’d expect, and the alcohol level is equally stout at 10.6% ABV. 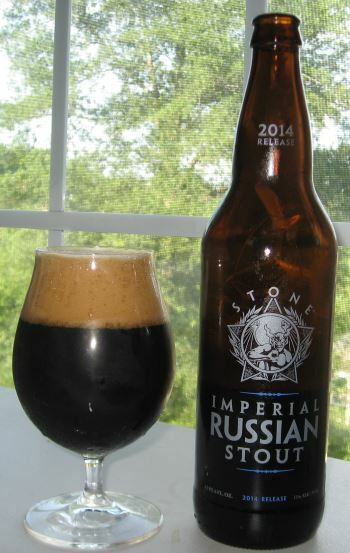 This entry was posted in Reviews and tagged California, Imperial Stout, Russian Imperial Stout, Stone, Stout on August 6, 2014 by Xander. Argh! Pirate beer is back on the menu! 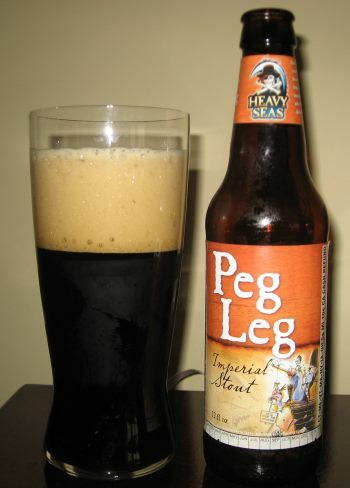 Today’s offering is from the pirate themed Heavy Seas label produced by the Clipper City Brewing Company of Maryland and it is a big malty English Imperial Stout called Peg Leg. My first impressions: When poured, it looks like an Imperial Stout with opaque dark chocolate coloration and a thin creamy tan head. It smells like an Imperial Stout, with a lot of chocolate and some roasting coffee. Finally, it tastes like an Imperial Stout, with more chocolate and coffee, a bit of roasty grain, some spice and prune in the finish, and a nice medium weight body. The alcohol is muted but present at 8.0% ABV. There’s nothing particularly special about this brew, but it’s an excellent example of the style. I for one would be happy to drink it again, and not just because it’s a pirate beer. This entry was posted in Reviews and tagged Clipper City, English Imperial Stout, Heavy Seas, Imperial Stout, Maryland, Stout on March 4, 2014 by Xander. 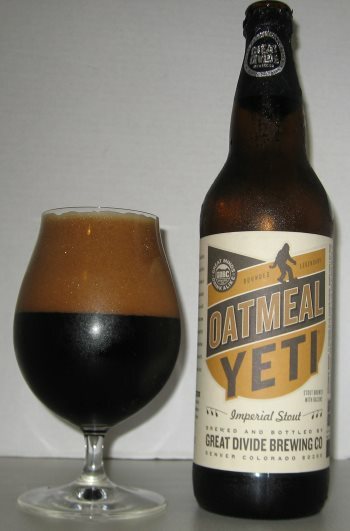 Oatmeal Yeti is an Imperial Stout based on Great Divide’s Yeti Imperial Stout, but with the addition of rolled oats to soften the bite of the roasted malt and raisins to give it some rich, almost Belgian fruity notes. It pours nearly black, like heavily used motor oil, with a thick, dark, chocolatey brown head. The notes I get in the nose are chocolate and figs and a hint of coffee. The middle is rich, heavy, smooth and dusty with the flavors of the oats, raisins, a bit of cherry, and some oak. The finish has more oak, some coffee, and sweet chocolate syrup. This is a big, heavy beer, that could honestly be mistaken for a meal. The alcohol content is fairly high too, at 9.5% ABV. I’ve reviewed a lot of good beer lately, and this is no exception. I love big oatmeal stouts and this is an outstanding example. This entry was posted in Reviews and tagged Colorado, Great Divide, Imperial Oatmeal Stout, Imperial Stout, Oatmeal Stout, Stout on October 18, 2013 by Xander.